Macbook Pro as a CUDA dev (not deployment) platform ? 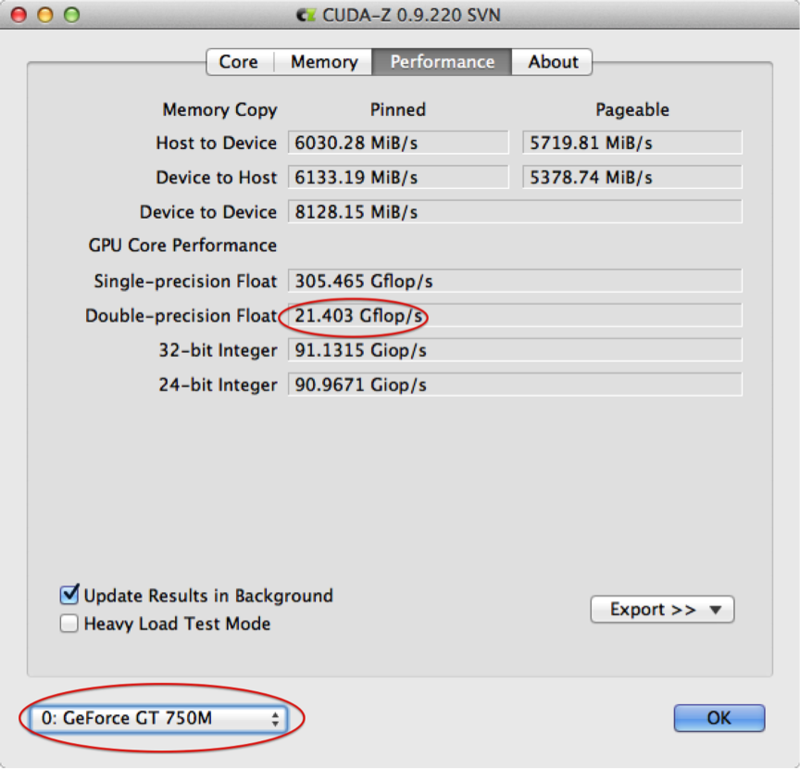 The aim of this exercise is to evaluate the current (as on Sept. 22, 2014) state of double precision floating point (DPFP) operation support for CUDA on the 15 inch Macbook Pro Retina. 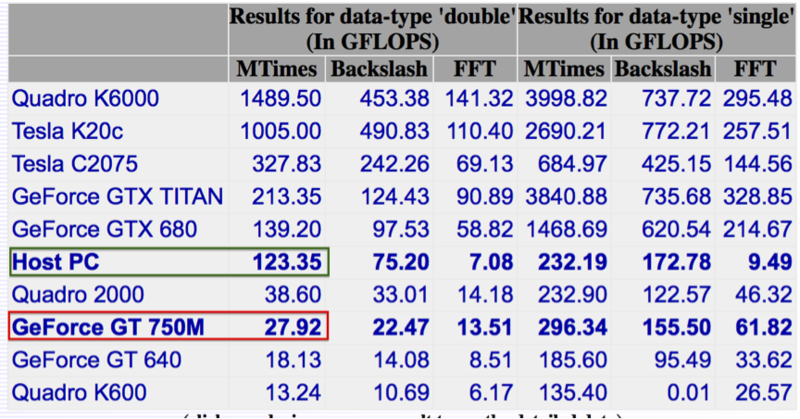 ‘gpubench’ returns about 27 GFLOPS for double precision, floating point operations via CUDA on the GT 750M NVIDIA card, while the 2.3 GHz Intel Core i7 in comparison returns a much better 123 GFLOPS. The Nvidia GT 750M does not have ECC memory which is supported by the CUDA Device Query which returns ‘Disabled’ for ‘Device has ECC support’. This entry was posted in CUDA, Double precision floating point, MacBookPro Retina, Scientific Computing and tagged Apple, CUDA, double precision floating point, MacbookPro Retina, Mavericks, Nvidia GT 750M, Scientific Computing on October 5, 2014 by periasamye. Adrian @ https://www.pyimagesearch.com/2014/10/06/experience-cudamat-deep-belief-networks-python/ agrees with the above assessment.